On-Net Surveillance Systems, Inc. (OnSSI) was founded in 2002 with the goal of developing comprehensive and intelligent IP video surveillance management software. OnSSI's Ocularis IP security and surveillance VMS platform increases security, reduces operational costs and helps organizations move closer to prevention. 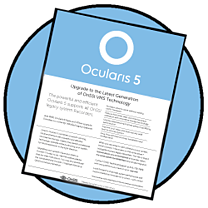 Ocularis delivers open architecture, flexibility and scalability for a range of applications, including education, gaming, government, healthcare, manufacturing, public safety, transportation and utilities. OnSSI is headquarted in Pearl River, New York and has representation in over 100 countries. 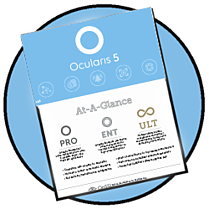 With its acquisition of Germany-based VMS company, SeeTec GmbH, and the launch of Ocularis 5, OnSSI continues to drive global expansion and technological innovations. Ocularis 5 is available in three powerful and efficient models: Ocularis Professional, scalable video management for small to medium single- and multi-site applications, Ocularis Enterprise, surveillance video management for centrally-managed mid- to large-scale installations and Ocularis Ultimate, video management with failover and redundancy for large and demanding environments. Download the flyers below for more information.